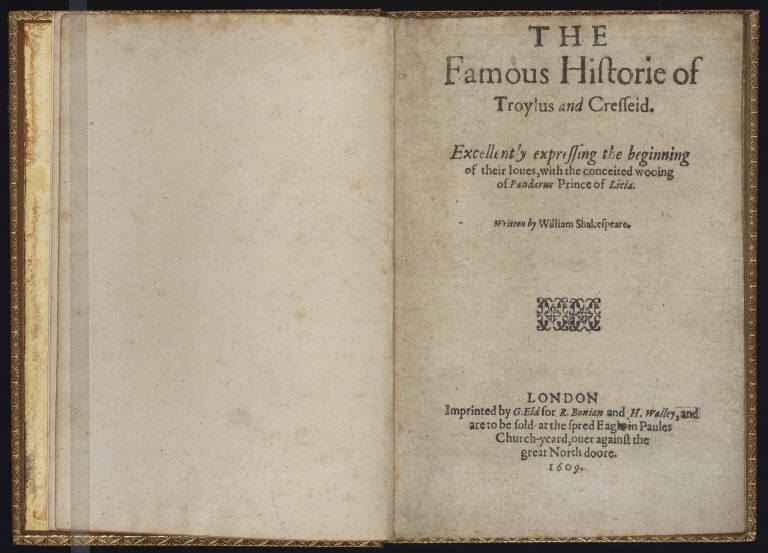 “Eternal reader, you have here a new play, never stal’d with the Stage, never clapper-clawed with the palmes of the vulgar, and yet passing full of the palme comicall”—these are curious words to preface a play. Why might Eld propose such a thing? –but that by fashioning a fictive, reader-oriented history for the play, Eld was executing a shrewd advertising maneuver. 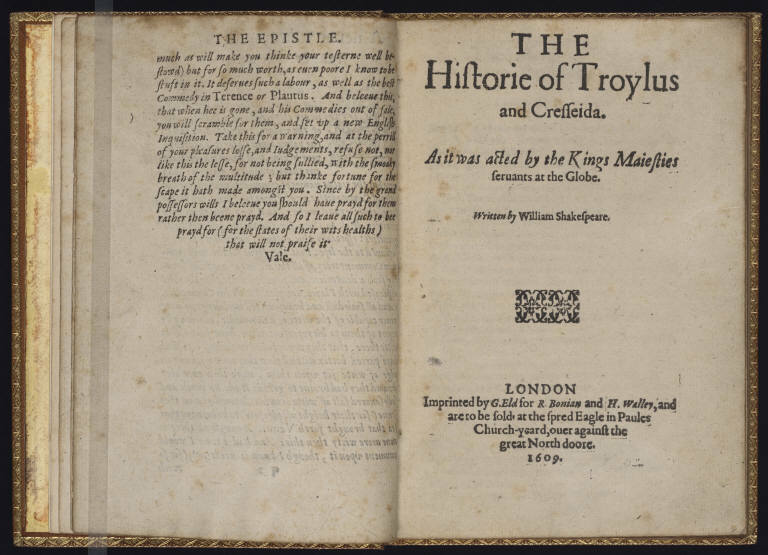 The private activity of reading the play—which title pages, by boasting of the play’s performance history, tended implicitly to cast as a secondary experience to witnessing the play on the stage–became primary to Troilus and Cressida. 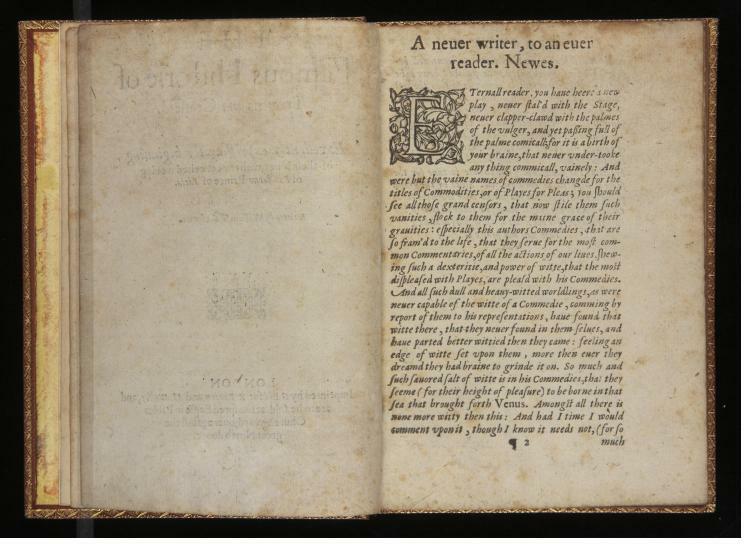 By advertising this history, Eld could assure his prospective readers that they were purchasing something that was intimately meant for them–meant, that is, to be read. There was, by this logic, a kind of privilege to be had in reading Troilus.